Trav is an honorable man. Early on Tuesday (January 15) morning, it was reported that Travis Scott and Big Boi would perform along with Maroon 5 during the Superbowl Halftime Show. The news was speculated for some time, but it wasn't made official until now. There has been a disconnect between the hip-hop community and the NFL since Colin Kaepernick lost his job mainly based on his famous on-field protests. His kneeling made headlines and brought attention to the national conversation about police brutality. 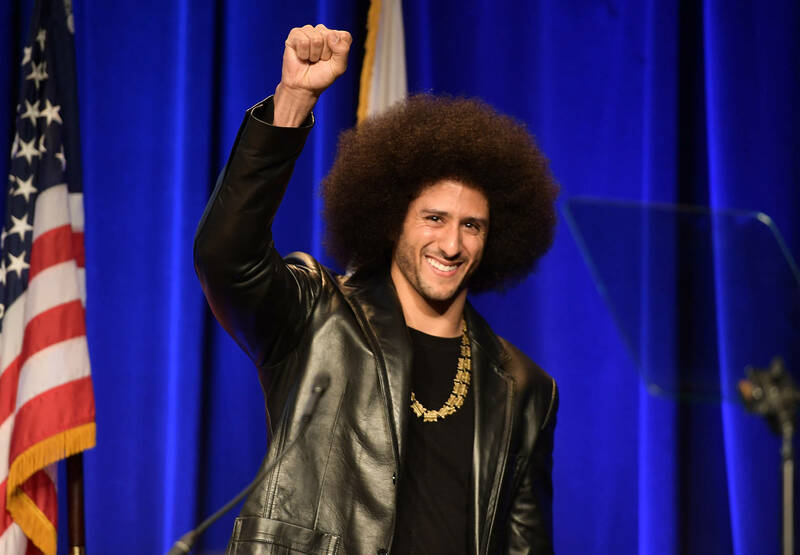 Kaepernick has raised hundreds of thousands, if not millions, for different charities around the world, but he lost his job in his stance against oppression for others. Artists such as Rihanna and Jay-Z reportedly turned down the chance to perform during the Superbowl Halftime Show this year, so the internet was largely unpleased when Travis Scott was announced as a performer. According to Variety, Travis Scott had at least one phone conversation with Kaepernick before accepting the offer to perform. When it was announced that Trav would play the Halftime Show, it was also revealed that he and the NFL would donate $500,000 to the non-profit social-justice organization Dream Corps. Variety also reports that Trav would not accept the offer to perform until the money was secured from the NFL for the donation to Dream Corps first. A source close to La Flame claims that while the two did not necessarily agree, they left the conversation with mutual respect and understanding.